Kevin Maxwell | Help Change The World. The Future Of The County Is Now. Prince George’s County Executive Rushern L. Baker III (D) announced Friday he was extending the contract for Kevin Maxwell, the schools chief executive officer, giving the educator another four years to continue reform efforts despite recent abuse scandals that led to calls for Maxwell’s resignation. It is the first time in nearly 25 years that a superintendent in Prince George’s County will get a second term. Before Maxwell, the state’s second-largest school system had seven superintendents in less than two decades. Maxwell is paid just under $300,000 a year. He was appointed by Baker in 2013, shortly after the state legislature awarded the county executive broad new power over school-system governance. His leadership is a central part of Baker’s plan to overhaul and stabilize the system after years of scandal, poor performance and dwindling public trust. Maxwell, who grew up in and began his career in Prince George’s County, has seen graduation rates reach record highs at some schools. Enrollment and some test scores also have increased. He expanded full-day prekindergarten and language-immersion offerings, and increased participation in dual-enrollment programs that allow high school students to take college-level courses. But the system faced sexual-abuse and child-abuse cases last year involving school personnel, including a one-time aide who now faces decades in prison. The allegations led to a federal investigation and the loss of control by the school system of millions of dollars in Head Start funding. “It has been challenging but at the same time, it’s been some of the most rewarding work that I have ever done,” Maxwell said at a news conference at DuVal High School, where he introduced a specialized academic program focused on aerospace science. Maxwell cited letters he has received from grateful students, the number of strategic business and philanthropic partnerships that school officials have brokered and a more than $44 million increase in the value of scholarships offered to county graduates in 2016. More than three dozen business, government, philanthropic leaders and school board members attended the announcement, giving Maxwell a standing ovation as he ticked off his administration’s accomplishments. Absent were at least three elected members of the Board of Education, including Edward Burroughs III, one of Maxwell’s most strident critics. He led calls for Maxwell to step down following revelations that a Head Start worker forced a child to mop up their own urine and texted a photo to the child’s mother. Amid the fallout, Maxwell asked his chief of staff to resign over an email that appeared to suggest that school administrators tried to keep the Head Start scandal quiet. There were separate allegations of abuse, involving a school bus aide accused of molesting students. 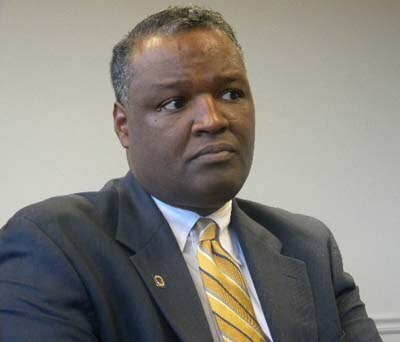 There has been a complete lack of accountability under County Executive Rushern Baker III that extends to CEO Dr. Kevin Maxwell. Mr. Baker came in with promises of an Inspector General (IG) style oversight program because of all the illegal and ethics issues within the county leadership. He also said judge him by school performance but he has been failing and only being protected by Maryland politicians. A divided Prince George’s County Board of Education adopted a downsized $1.8 billion budget Thursday night, cutting programs that would have been funded by a proposed property-tax increase rejected by the County Council. Schools chief Kevin Maxwell presented a revised budget to the board last week after County Executive Rushern L. Baker III (D) failed to generate the support needed for his ambitious plan to raise the tax rate 15 percent and increase school spending by $133 million. The council instead approved a smaller tax increase that would produce about a quarter of the funding Maxwell says he needs to expand programs and boost student achievement. Maxwell’s latest plan was approved by the school board on a 7-to-3 vote, with two abstentions. It maintains existing programs but does not include the rapid expansion he had sought for several initiatives. These included universal pre-kindergarten, dual-enrollment in high school and college courses, talented and gifted programs, digital literacy and the hiring of parent-school liaisons. “This is our best recommendation of how we move forward,” Maxwell said. But the cuts infuriated some board members, ratcheting up a controversy about funding schools designed specifically for first- and second-generation immigrants. The budget preserves funding for two international high schools that would cater to English-language learners who are struggling in traditional classes. One would operate at a separate Bladensburg facility and the other within Largo High School. The NAACP has criticized the schools, calling the initiatives segregation. Immigrant advocacy organizations such as CASA of Maryland say such schools exist across the country and provide options for a challenged population. PGCPS is not performing well because the work has not been about the students’ success, but rather it is about adults and their political agenda. Ejecting several staff members well connected to Mr. Rushern Baker III and Dr. Kevin Maxwell to “eat” from students reserve fund is not the answer! Report was compiled By Arelis R. Hernández of the Washington Post and Reform Sasscer Movement contributed. UPPER MARLBORO – A presentation by a firm helping the school system develop its master plan turned into a debate between members Prince George’s County Board of Education and Chief Executive Officer Kevin Maxwell about the vision for the future of the school system’s infrastructure after the firm recommended the closure of 29 schools. Prince George’s County Public Schools hired Brailsford & Dunlavey, a national project management firm, in October 2014 to help the school system in prioritizing capital projects for its master plan. Representatives from the firm gave a presentation to the Board at a June11 meeting, suggesting a 20-year plan, which includes 140 total projects and will cost the school system $8.5 billion. Erika Lethman of Perkins Eastman, an international planning, design and consulting firm working with Brailsfor & Dunlavey, said the focus of the project was school buildings built before 1999, but that more than 50 percent of schools are more than 40 years old. She emphasized the school system has not spent enough money to fully fund the number of projects in its capital improvements program. “We’re not going to clear the backlogs of projects in 20 years’ time,” she said. The presentation raised numerous questions from school board members about the equity of the distribution of funds in different areas of the county and determining which schools to close. Board member Beverly Anderson raised concerns about the suggest plan spending most of the funds in the northern part of the county. “I just need to get some clarity on why if the facilities with the greatest need for construction based on the physical plans appear in South County, why would the smallest percentage be used in South County?” Anderson said. The firm made suggestions based on eight months of research, which included visiting schools, into how to better utilize the county’s schools, while also acknowledging needs of the separate areas of the county. According to the presentation, utilization analyzes the total capacity of the school against the total enrollment. The Board set a utilization of 80 percent to 95 percent of the school capacity. The firm’s study revealed 50 percent of district schools were underutilized and 31 percent were over utilized. The findings suggested 29 school closures—13 in the southern region of the county, 14 in the central area and two in the north. Brailsford & Dunlavey also recommended eight new construction projects, with five in the north and one in the central. If the school system follows the recommendations, Brailsford & Dunlavey estimated the county could save about $616 million savings from the projected closures over 20 years. But some Board members, including Edward Burroughs, said they fear the recommendations would have an unfavorable impact on the southern region of the county and create significant public reaction to the announcement of school closings. The southern part of the county has historically received less investment from the school system, and thinks the proposal “further perpetuates” the problem. Maxwell said the report was only meant to help the school system make informed decisions when developing its master plan and future budget proposals, but he acknowledged the district may have to close some of its schools. Burroughs said he will fight to make sure the southern county sees an equal process. The school system will gather community feedback and recommendations in the fall and winter. Maxwell said he expects to present a final draft of the master plan to the Board in early 2016.
rroughs said he will fight to make sure the southern county sees an equal process. This presentation was given at the June 11, 2015 meeting, and is just now hitting the papers. Please watch the entire 4 hour board meeting – https://www.youtube.com/watch?v=6zy8rzxyrW0 – to figure out if any of our questions were answered. The county citizenry needs to get involved in these issues to make sure that everything is being done in a transparent manner and then ask tough questions. Remember that, once the schools are closed and sold to the highest bidder, you will need those same facilities as the population continues to grow. via Prince George’s County sentinel – Reform Sasscer Movement for Prince George’s County contributed to the report. 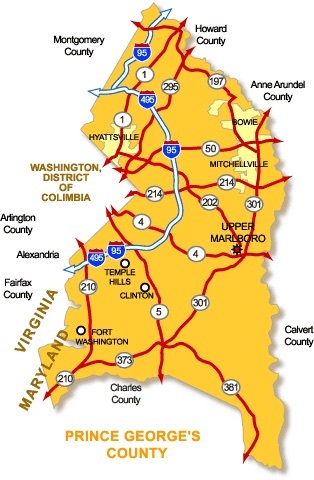 UPPER MARLBORO – Although Prince George’s County Public Schools (PGCPS) officials have promised to hold themselves accountable if County Executive Rushern Baker III’s budget proposal passes, some members of the County Council remain unconvinced. At a council worksession last Wednesday to discuss the school system’s budget, schools officials promised accountability in the form of annual report cards. The school system is slated to receive $1.93 billion in Baker’s proposed budget, which includes a $133 million increase from the county. In order to fund the increase, Baker has proposed raising the real property tax rate by 15 percent—above the charter limit. He also proposed raising the county’s personal property tax rate from $2.40 to $2.78 per $100 of assessed value. Telecommunication taxes will be raised from 8 percent to 12 percent on top of those increases. But Councilwoman Mary Lehman said the school system has not done a good job of convincing the council and constituents that the increases are necessary. She said the school system and the Board of Education have done a lackluster job when discussing the budget with residents at town hall meetings. She also criticized school system officials’ time commitment after PGCPS CEO Kevin Maxwell left a worksession early a couple weeks before, which angered Councilwoman Karen Toles at the time. Constituents were really annoyed with Eubanks being unprepared, Lehman said, and were not sold on Maxwell’s plan with no presentation. Toles agreed that the school system and Maxwell need to be held accountable because the council is not asking for money from the school system. During the worksession, Toles said she wants to make sure that each and every school in the county gets the same benefits and that the increased funding would not just reach schools in certain areas of the county. Toles questioned officials on why they have not implemented International Baccalaureate Diploma (IB) programs at the feeder schools for Suitland High School, even though Suitland has an IB program. There is a “major problem” with Maxwell’s strategic plan. Toles said, because it does not improve the schools in her district. While she is supportive of language-immersion programs, Toles said students need opportunities to develop in educational programs that can help them succeed. “I feel like we are dumbing down my community by not giving them a chance with those programs,” Toles said. Maxwell said before he arrived in the school system, there were no IB programs. It is the school system’s intention to develop a support structure for every high school program they have, he said, through middle and elementary school education. Toles said it is not fair to some programs and services in certain parts of the county and not others. She requested information from the school system about when it would place an IB program in her elementary and middle schools. Monica Goldson, the chief operating officer of PGCPS, said the county has slated to put IB programs at Suitland Elementary school and William Hall Academy and could provide Toles with a list of other schools slated to get IB programs. However, as of Tuesday Toles said she had not received any information from the school system. Along with report cards, County Council members said they want to ensure the school system spends money where it says it will. While the County Council approves the school system’s budget allocation, it cannot determine how the school system spends its money. The school system will send out an annual report card to parents to notify them about how the schools are improving, Maxwell said. The school system has promised to improve its standardized test scores, graduation rate and dropout rate. The school system’s goal is to get into the state’s top 10 by 2020. The school system must wait for the state to certify some of their performance numbers before they are put out to the public, Maxwell said, and that can be a potential issue. Councilman Obie Patterson asked for the school system to clearly identify what numbers it will use to audit its performance. Everyone has different performance standards, Patterson said, but the performance standards for the school system are not clear. Patterson’s constituents are saying the school system has gotten money before, he said, but they have not seen any results. The accountability for the school system will come through council and the county government, said Monique Davis, deputy superintendent. Because the council approves additional funding, Davis said, councilmembers will be the ones who will hold the school system accountable. “It comes through our partnerships. Through our partnership with the county council, you guys are going to hold us accountable. I think that’s what you can tell your constituents,” Davis said. Councilwoman Andrea Harrison said the school system has put council members in a tough position by balancing education needs with increasing taxes on residents without any insurances for positive results. “You have asked us to put a significant tax increase on the residents in this county. In my opinion, and I think in the opinion of the people of this county, we have not proven that we are making progress,” Harrison said. The school system will not stop asking for increases, Harrison said, but if there are no results, she said, it will be difficult to continue to give increases if there are no results to show any progress. “Your children can’t come to you and ask for increases in their allowance if they are not doing something that you can see is worth them getting an increase in their allowance,” Harrison said. Councilmember gets upset after Maxwell leaves worksession. UPPER MARLBORO – Prince George’s County Public Schools CEO Kevin Maxwell decision to leave a county council budget work session early in order to attend a gala has caused one councilmember to signal she may vote “no” to tax increases next month. “The legislature has ended, but the governor still has to make a decision. He should give in to you as citizens and release those funds,” Thornton said. 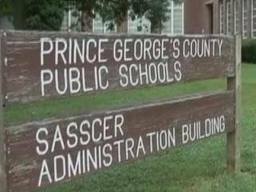 Prince George’s school board approves $1.93 billion budget request. Segun Eubanks – Brother in Law to County Executive Baker and the board have requested biggest budget to date without accountability initiatives as part of the matrix to the State and the County Council. 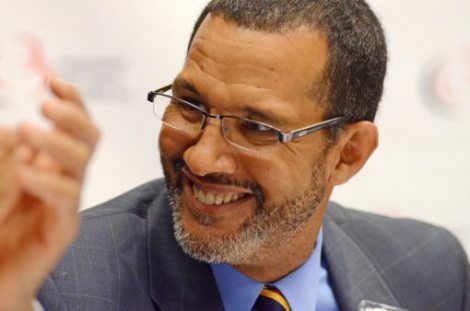 The Prince George’s County school board has doubled down on CEO Kevin Maxwell’s education reforms, approving on Tuesday a $1.93 billion budget for the next fiscal year, which includes expansion of prekindergarten and career academies, despite the possibility of cuts in state funding. The budget is a 7.6 percent increase over the current year’s $1.8 billion budget. Eubanks said it was conversations with Maxwell over the budget cuts that led to the increase. Maxwell’s original budget froze the rollout of arts integration programs, career academies, full-day prekindergarten and peer teacher review programs, but those programs are included in the new budget, which Maxwell presented to the board the day before it was scheduled to vote on the budget. Two Prince George’s County Schools to Close Next Year. Thursday night, the Prince George’s County Board of Education approved to close two elementary schools as part of Chief Executive Officer Kevin Maxwell’s changing boundaries and grade structures plan. 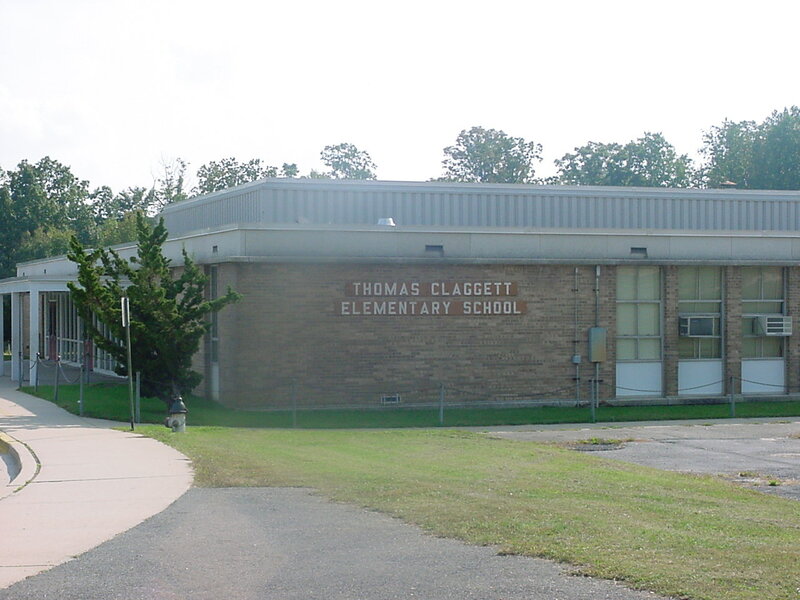 The board voted 7-2 to close Kenmoor Elementary and Thomas Claggett Elementary schools at the end of the 2014-2015 school year. The board also approved the remainder of Woodmore Elementary School’s sixth grade students continue their education at Benjamin Tasker Middle School and Ernest Everett Just Middle School. 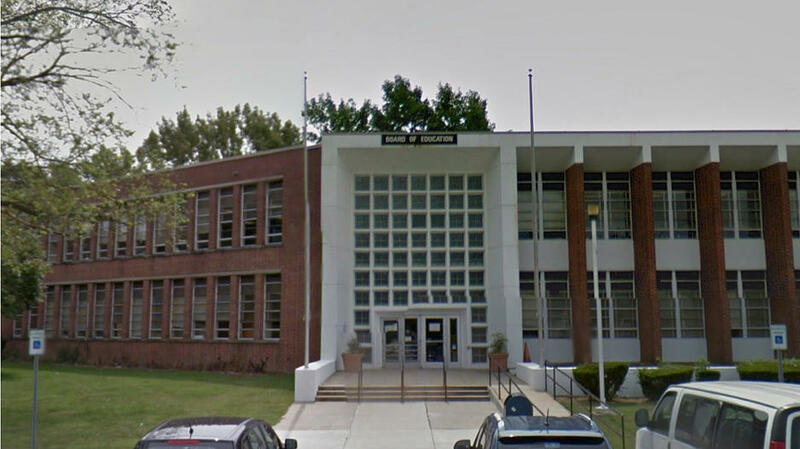 William Paca Elementary School’s sixth graders will go to Kenmoor Middle School.